Lyn Carson is Research Director at The newDemocracy Foundation, prior to that a Professor with the University of Sydney Business School, and before that, a Professorial Fellow with the Centre for Citizenship and Public Policy at UWS. "Carson" was also Academic Program Director in the United States Studies Centre at The University of Sydney. For over a decade she taught in the Department of Government and International Relations at the University of Sydney on topics relating to public administration, citizen engagement and deliberative democracy. 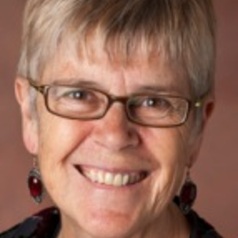 She was involved in Australia's first Consensus Conference, Australia's first two Deliberative Polls, Australia's first Citizens' Parliament, numerous Citizens' Juries and Community Summits and a host of other public engagements related to public policy exploration and improvement at local, state and national levels. Carson's introduction to formal politics and the challenges of active citizenship began in the early 1990 as a local councillor in Lismore, NSW.